For two years ending in 2013, the FBI had a court-approved warrant to eavesdrop on a sophisticated Russian organized crime money laundering network that operated out of unit 63A in Trump Tower. Years before Donald Trump rode his golden escalator into the Presidential campaign, the FBI really did “tapp” some phone lines in Trump Tower. For a pretty good reason. The FBI was particularly after Russian mafia boss, Alimzhan Tokhtakhounov, whose money-laundering ring was bringing millions into the US from former Soviet republics. And where did these money-laundering mobsters chose to set up shop? Well, isn’t that a funny coincidence. It’s not like the floors in between are occupied by a “real estate development company” owned by post-Soviet oligarchs and operated by securities fraudster Felix Sater. Otherwise known as those guys who built the Trump SoHo where Trump filmed The Apprentice, but who Trump claims not to know. Those guys. It looks like Trump Tower was a one-size fits all money-laundering superstore. And while the FBI grabbed some of the mobsters they were looking for in 2013, at least one of them slipped past them—only to turn up at Trump’s Miss Universe pageant in Moscow. Five months after the April 2013 indictment and after Interpol issued a “red notice” for Tokhtakhounov, the fugitive appeared near Donald Trump in the VIP section of the Moscow Miss Universe pageant. Trump had sold the Russian rights for Miss Universe to a billionaire Russian shopping mall developer. Trump world is just overwhelmingly full of giant-sized coincidence. It was following up on one of Tokhtakhounov’s associates that kept the phone wires at Trump Tower connected to the FBI through 2013. 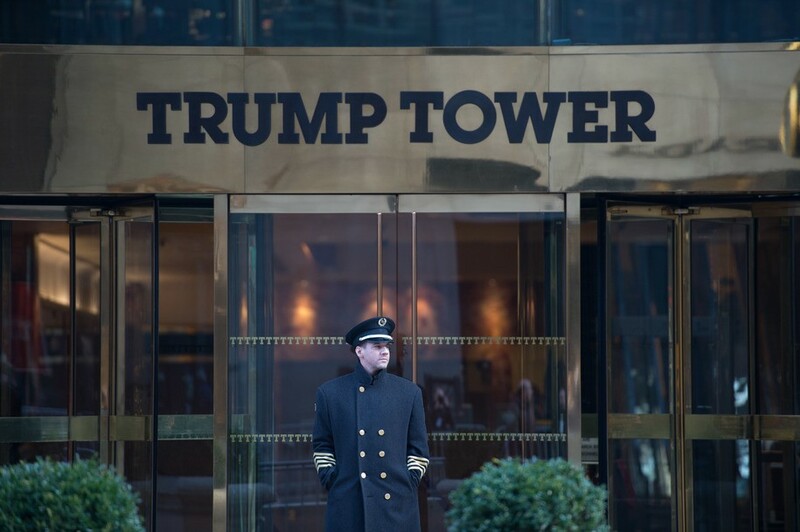 The Trump building was home to one of the top men in the alleged ring, Vadim Trincher who pleaded guilty to racketeering and received a five-year prison term. He is due to be released in July. “Everything was moving in and out of there,” said former FBI official Rich Frankel, now an ABC News consultant. Was there a wiretap at Trump Tower? Damn right there was. Because Trump Tower is a hotbed of illegal activity, and it’s just part of the “open for business” sign Trump hung out for Russian mobsters. like seriously? ?the top businessman does not know who owns owns Bayrock?? ?he All know about real estate.. Seriously. Are there signs this guy ‘s going to be impeached ? I smell treason a mile away. It really stinks. Republicans, I’m sure , can smell it too.